Cider ice lollies have always been one of my favourites and invariably my choice from the shop ice cream cabinet. I was delighted, therefore, to find this recipe. The sorbet is smooth from the apple puree and soft as the alcohol content stops it from freezing too hard. We felt that it seemed extra cold even when soft, so it was very cooling and refreshing. The recipe comes from my favourite Ice Cream book: Making Ice Creams & Desserts by Joanna Farrow & Sara Lewis. I changed the title from Apple Sorbet to Cider-Apple Sorbet to indicate the inclusion of cider as some may prefer a recipe without alcohol. The original recipe suggested that the apples were cored but unpeeled but I found removing the pieces of peel rather time consuming. It may be that there is a nutritional, colour or flavour value from cooking apple peel, so I suggest first removing the apple peel but still cooking it with the fruit. Peelings can easily be removed from the pan before the apple is pureed. Originally the apples were cooked in half of the water with the remainder added before freezing, but I simplified this adding all the water at once. Also, some green food colour was suggested to give a green tint, however I’m not too sure about additives. Anyway I like the gentle sandy beige/pale cider colour, a similar but much paler version of commercial cider ice lollies. If you do use colour, the book recommends making the colour just a little darker than you want when finished as Sorbet turns paler as it freezes. 1. Peel and core the apples. Roughly chop the fruit and place in a saucepan with the peel, but not the cores. 2. Add the caster sugar and the water. Cover and simmer for around 10 minutes or until the apples are soft. 3. Remove the apple peel and puree the fruit (or push it through a sieve placed over a bowl). 4. Stir the cider into the apple puree and the boiling water from the apples. Add a very small amount of green colouring. Omitting this will produce a soft beige/pale cider colour. Sorbet goes lighter as it freezes so make the colour just a little darker than you want when finished. Pour into machine and churn. When the mixture is slushy transfer to a container and freeze. If you do not have an ice cream maker, pour the mixture into a plastic container and freeze until slushy. Remove once or twice and whisk to break up the ice crystals. Return to freezer for at least four hours. Defrost in the fridge for about 20minutes before serving. Serve garnished with the lime rind or twists of apple peel reserved from earlier. Cinnamon is one of my favourite spices and combines beautifully with pear. This is a lovely creamy smooth textured ice cream which scooped well. It was a very easy recipe and thick honey could be used as the sweetener in place of golden syrup. It would also be interesting to try substituting pieces of stem ginger and perhaps some syrup from the jar for the golden syrup, perhaps leaving out the cinnamon. I have made a few small changes to the original, halving the butter content and using just one egg rather than the egg and yolk suggested. Once more the original recipe came from the book Ice Creams published by Hamlyn (there is no specified author) which contains a lots of delicious sounding and uncomplicated ice cream recipes. 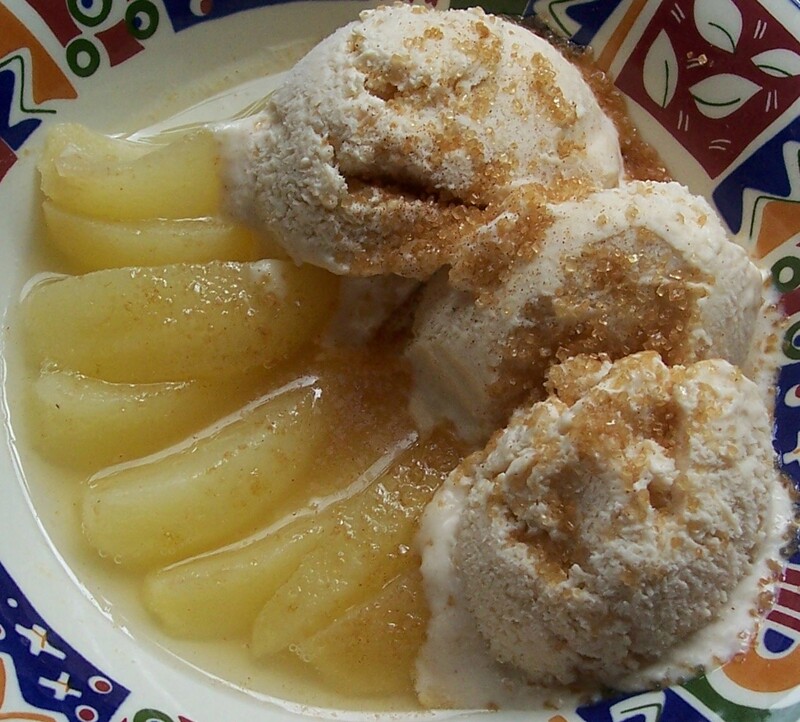 I served this ice cream with some gently warmed slices of Conference pear which I sprinkled with a little lemon to prevent it browning but no sugar, before being cooked in the microwave for 1 minute on medium heat. The ice cream starts to slightly melt over the warmed pear and I served it with a sprinkling of a little cinnamon mixed into demerara sugar, giving it a sparkly crunch! Cinnamon Pear Ice Cream would be delicious served with French Pear Frangipane Tart, often known as Pear Pie Bordalue, something I occasionally make (recipe coming eventually). To save work when repeating this recipe, I would make and freeze a double or triple quantity of the pear mixture, defrosting it to turn into ice cream at a later date. 1. Place the pears in a saucepan with the lemon juice, golden syrup, butter and cinnamon. Bring to the boil and then turn down and simmer gently and uncovered until the pears are soft. Puree the pears in a liquidiser or food processor and return the mixture to the rinsed pan. 2. Beat the egg (or egg & yolk) together in a bowl. Combine with the pear mixture in the saucepan and cook on a very gentle heat, stirring well, until the mixture thickens. Churn the pear mixture in the machine, gradually adding the cream until thick , which should take around 10-15 minutes. Tip into loaf tin or container, cover with cling film or a lid and freeze for at least 6 hours. Whisk the cream lightly until the whisk leaves a trail when lifted. Combine with the pear mixture. Tip into loaf tin or container, cover with cling film or a lid and freeze until partly set. Remove the partly frozen ice cream from the freezer and stir once before freezing until set. Defrost in the fridge before serving: this can take up to 1hour depending on the type of ice cream. Dip the serving spoon or scoop in boiling water to help it cut through the ice cream if it is a little hard. Serve with fresh or lightly cooked pear or pear tart, sprinkled with cinnamon sugar or decorated with fresh mint leaves. Mangoes abound on our market during the summer months: just one of the many advantages of living in a multi-ethnic area. We love their rich flavour and silky texture, so I was delighted to find this easy recipe for Mango Ice Cream. The resulting Mango Ice cream was delicious: smooth, rich and creamy. I can see myself making a lot of this, especially as Mangoes are often plentiful locally. It would be wonderful combined in a trio of tropical flavoured ice creams. In combination with Honeyed Banana Ice Cream with Nuts and/or Pineapple Ice Cream and/or Coconut Ice Cream this would be a lovely cooling Summer dessert. The recipe specified one Mango: mine was very large, which did not affect the recipe at all. The recipe is very quick once the sugar syrup has been made: this takes 15-20 mins and needs to be done a little in advance to allow it to cool. My first batch of syrup had to be discarded as I cooked it too long (trying to do several things at once I did not watch it carefully enough) so be warned, but please do not be put off! I have found that a slightly overcooked syrup can be cooled slightly, a little extra water added, the syrup gently melted into the newly added water and then carefully reboiled to the thread stage. It may be able to be rescued providing it has not started to caramelise. 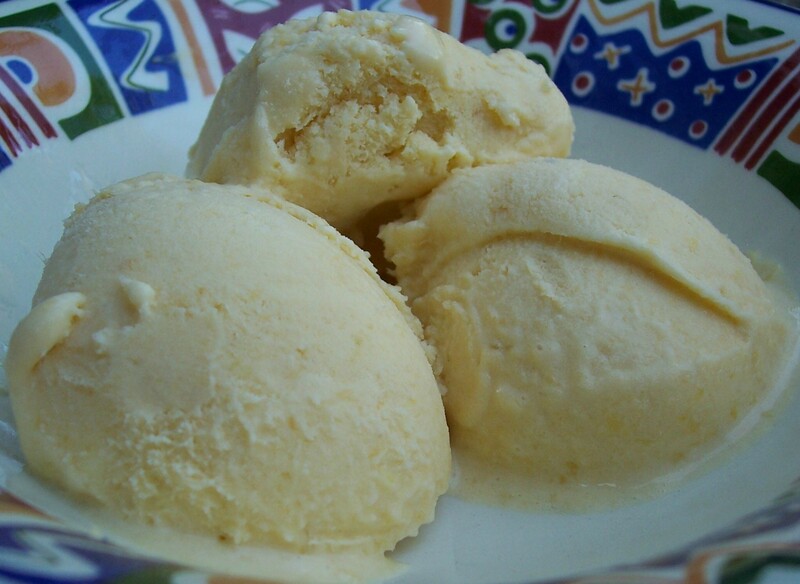 I have recently made Citrus Fruit Mousse, in this instance a mango and lime cream mixture, to serve with fruit so I am sure that lime juice would be a really good substitute for lemon juice in this ice cream. The original recipe was found in the book Ice Creams published by Hamlyn (there is no specified author). This useful little book was found in a local charity shop and contains a good number of fairly easy ice cream recipes within its slim pages. 1. Put the water and sugar in a small saucepan. Heat gently, stirring, until the sugar is dissolved. Bring to the boil and cook steadily until the liquid is reduced to a syrup, reaching 107oC/225oF on a sugar thermometer. (This is called thread stage. If you do not have a sugar thermometer then let a small amount of syrup fall from a spoon onto a saucer. It should form a fine thin thread.) Leave to cool. Take care it does not over cook (see note above). I found that, once it was at a rolling boil (after the sugar had dissolved) it took around 15 minutes for the syrup to cook. 2. Remove the flesh from the peeled mango in rough chunks, place in a liquidizer with the lemon juice and puree. Stir into the syrup. Churn the mango mixture in the machine, gradually adding the cream until thick , which should take around 10-15 minutes. Tip into loaf tin or container, cover with cling film or a lid and freeze for at least 6 hours. Whisk the double cream lightly until the whisk leaves a trail when lifted. Combine with the mango mixture. Tip into loaf tin or container, cover with cling film or a lid and freeze until partly set. Remove the partly frozen ice cream from the freezer and stir once before freezing until set. Defrost in the fridge before serving: this can take up to 1hour depending on the type of ice cream. Dip the serving spoon or scoop in boiling water to help it cut through the ice cream if it is a little hard. 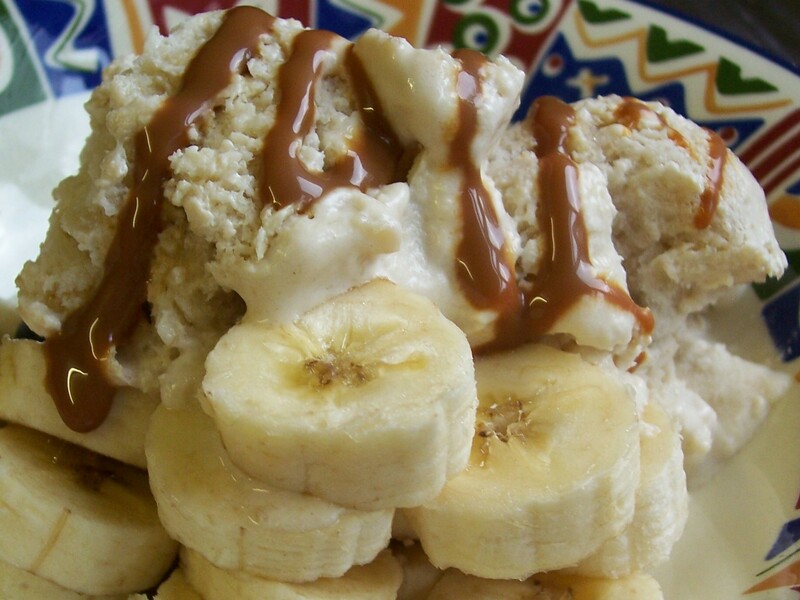 This ice cream is a great way to use up brown and mottled overripe bananas. They may be past their best for eating, but they are ideal for cooking as their natural sweetness increases as they age. 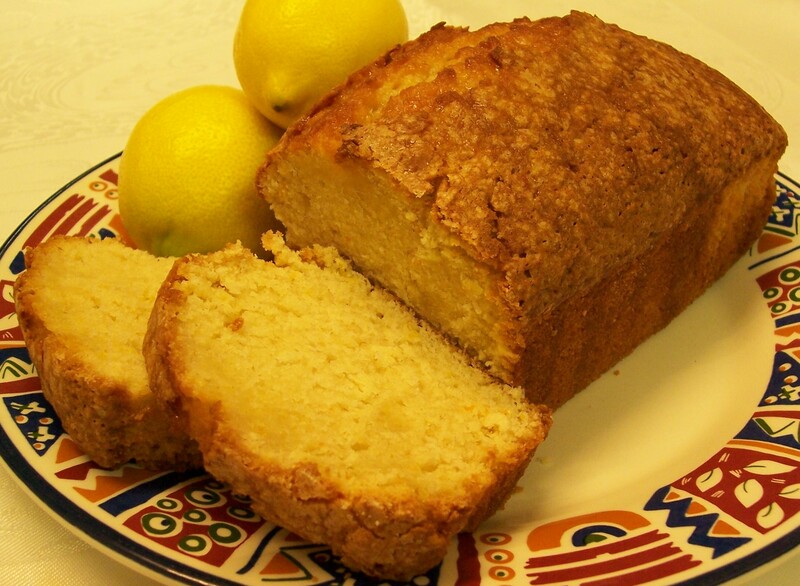 Honey adds additional sweetness with the lemon counteracting this slightly. The nuts – I used flaked almonds – add a lovely crunch. I used runny honey rather than set, which I did not have, doubled the amount of cream (by mistake!) and used just one whipped egg white, which seemed ample. The quantity overfilled a 500g ice cream tub. Next time I would add just half a tub of cream as originally specified – 150ml/¼pint! Last year I borrowed a fairly comprehensive, as I thought, ice cream book from the library and eventually bought myself a copy (Making Ice Cream & Iced Desserts by Joanna Farrow & Sara Lewis). However, I found another book in a charity shop called, simply, Ice Creams, published by Hamlyn (there is no named author). It contained some lovely and unusual ideas and I just had to have it as well. This recipe is one of the first that attracted me to the ‘must-have’ slim paperback. 1. Put the lemon juice in a bowl, add the banana pieces and mash together well. The lemon stops the banana from browning. 2. Stir in the honey and yoghurt and mix well. a. Whisk the whipping cream lightly until the whisk leaves a trail when lifted but not too stiffly as it will be difficult to combine, especially if using a machine. b. Combine with the banana and honey mixture. c. Pour into the machine and churn for 10-15 minutes until thick gradually introducing the nut pieces through the hole. d. Lightly whip the egg white and spoon into the ice cream machine as it mixes. e. Tip into loaf tin or container, cover with cling film or a lid and freeze for at least 6 hours. a. Whisk the double cream lightly until the whisk leaves a trail when lifted. b. Combine with the banana and honey mixture and stir in the pieces of nut. c. Tip into loaf tin or container, cover with cling film or a lid and freeze until partly set. d. Lightly whip the egg white. Remove the partly frozen ice cream from the freezer and fold into the banana mixture. Defrost in the fridge before serving: this can take up to 1 hour depending on the type of ice cream. Dip the serving spoon or scoop in boiling water to help it cut through the ice cream if it is a little hard. Serve the ice cream with a sliced fresh banana and a drizzle of Dulce de Leche (pictured), or similar toffee pouring sauce or alternatively some runny honey. For a special family birthday meal I was planning to serve Autumn Pudding as dessert, but also wanted to please the ice cream loving members of the family! I like the mixture of lemon and blackberry so thought this recipe sounded ideal. It was very sweet and very rich, in some ways rather overpowering the Autumn Pudding, but I would definitely serve it again as it was delicious. The recipe uses Lemon Curd, the original version suggesting either a luxury shop bought brand or home made. To me there was absolutely no contest so I added making curd to an already busy day. Next time – and there will be a next time – I would definitely do this job in advance! 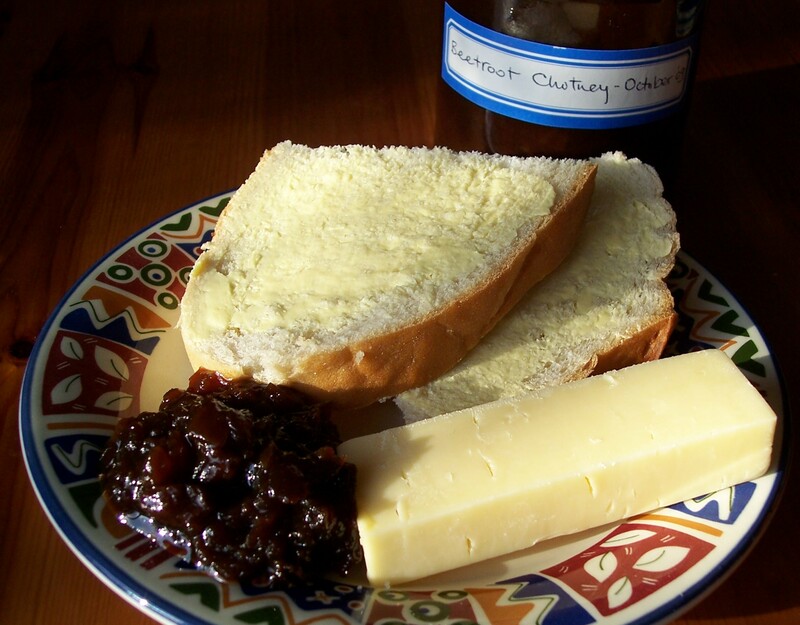 The original recipe came from One Step Ahead by renowned cookery writer Mary Berry. The original instructions did not use an Ice Cream maker. I have given them below in addition to my machine variation. The only alteration I would make would be to use lightly whipped Whipping Cream in place of the thick double cream when using an ice cream maker as it is easier to pour through the small hole in the lid of the rotating machine. However you will need the thickness of double cream if you are making the original method. 1. Line a 1lb/5oog loaf tin or similar sized plastic freezer box with cling film. 2. Break up the meringues into small chunky pieces (not too large, but not dust either). a. Whisk the whipping cream lightly until the whisk leaves a trail when lifted. b. Wash the lemons well and remove zest with a zester or a fine grater, making sure that no white pith is removed. c. Stir the zest, juice and lemon curd into the cream. d. Pour into the machine and churn for 10-15 minutes until thick gradually introducing the meringue pieces through the hole. e. Tip into loaf tin or container, cover with cling film or a lid and freeze for at least 6hours. d. Fold in the meringue pieces trying not to crush them too much. a. Defrost in the fridge for about 20minutes before serving. b. Delicious served on its own or with an accompaniment of simple cold stewed Autumn (or other seasonal) fruit mixture or a simple sliced citrus dish such as Sliced Caramel Oranges. d. Any remaining sorbet can be replaced in the freezer wrapped in cling film. Use different flavours of fruit curd: Lime, Orange, or even Blackberry (recipe to follow if it is successful) would be lovely. My husband loves the combination of melon and ginger (anything and ginger, actually!) so when I found this recipe I knew we had to try it. A jar of stem ginger in syrup is a stock cupboard item in our house as it makes a delicious addition to lots of desserts, including fresh chopped fruit and baked bananas, plus one finely sliced piece definitely improves a bowl of uninspiring plain yoghurt or tinned rice pudding. Honeydew melons are plentiful on our market at this time of year and I got a bargain with 2 large ones for £1. I cut a few corners, liquidising and reducing all the melon pulp without adding the water suggested in the original recipe, so the method given below is my version. I was a bit dubious about the unusual smell of cooking melon but I persevered and the finished ice cream smelled and tasted lovely. I also increased some of the quantities just a little, using a whole slightly larger melon than originally suggested and a full rather than a part tub of cream. I kept the quantities of the other ingredients the same. This amount is just about the maximum my ice cream maker can manage at one go before the bowl needs re-freezing. It is suggested that you could try other types of melon. I would particularly like to try the wonderful orange fleshed Charente melons from the region of the same name in western France. Bright red/pink watermelon, liquidised with mint leaves would also, I imagine, be very refreshing (in the summer I regularly enjoy watermelon & mint smoothies at breakfast). You could make this recipe without the ginger, of course, if you wished. The recipe has been adapted from a recipe in the book Ice Creams by Heather Lambert, first published in 1982 by Severn Valley Press Ltd as part of a extensive series of paperbacks available from Marks & Spencer. 1. Cut the melon in half, scoop out the pips and remove and liquidise the flesh thoroughly. 2. Pour liquidised melon into a saucepan, add the sugar and heat gently until the sugar is dissolved. Increase the heat and cook the melon mixture rapidly until it is thick and can run from a spoon in a thin stream. I found that this meant that the liquid was reduced to about half the original quantity. Leave to cool and then chill in the fridge. This can be frozen in batches for later use. Combine the chilled melon liquid, lemon juice, sliced ginger, ginger syrup and cream. Pour into the machine and churn for 10-15 minutes until thick. 4. Transfer to a container and freeze. 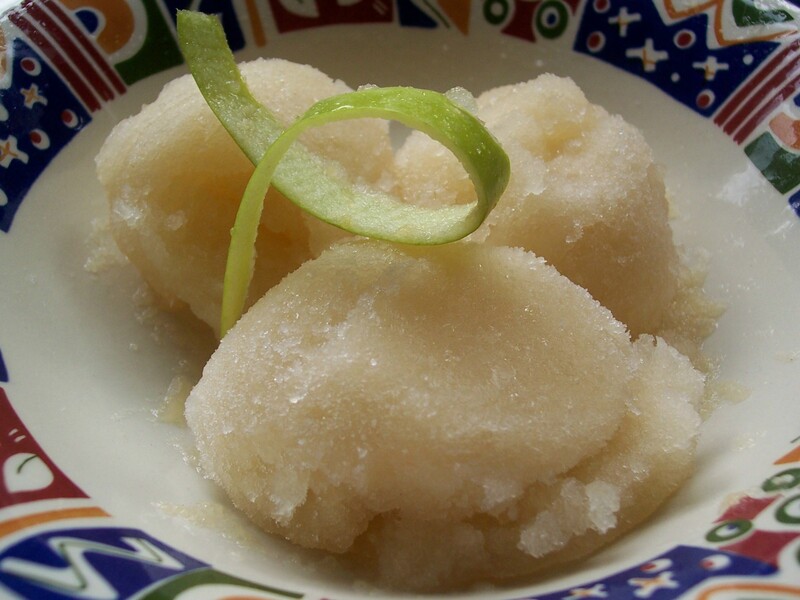 If you do not have an ice cream maker, add the lemon to the melon mixture and freeze for about 1½hrs or until mushy. 6. Whip the cream until it just starts to thicken, but is not too stiff – it should still fall from a spoon. Fold into the mushy melon mixture and return to the freezer beating twice more at hourly intervals. Cover, seal and freeze. This year promises a bumper crop of blackberries in our somewhat overgrown garden. What to do with a glut of fruit, especially as it comes free of charge!? 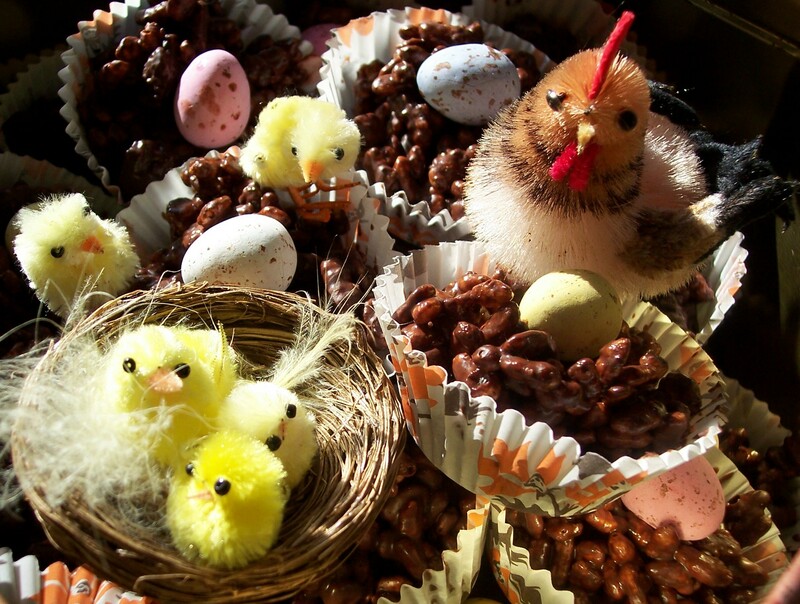 Well, lots of things actually, but this recipe is well worth the effort. The most complicated and messy part is the cooking and sieving of the blackberries. (Do not be tempted to add whole fruit as the many blackberry pips will add a grittiness that will spoil the silky smoothness of the ice cream.) This Ice Cream is absolutely delicious served with some more blackberries, if you have any fresh ones, and/or fresh or puréed raspberries (see picture). A small sprig of mint as a garnish adds even more colour with a splash of bright green. For a special but easy dinner party dessert, serve Blackberry Ice Cream in a brandy snap basket or on a home made waffle with both raspberries & blackberries, or any mixed berry combination with optional pouring cream on the side. (Yum – you will notice that I am an unashamed berry lover!) If you are concerned about creepy crawlies in your blackberries, my mother’s old fashioned trick is to rinse them in salted water (salt water draws out any bugs), rinse in fresh water and drain well. Next time I will make several batches of blackberry purée to freeze in batch sized amounts (multiplying the quantity given in the instructions below). It will take up less freezer space and can be thawed when required. I will, of course, be freezing batches of whole fruit for other dishes – we love Blackberry and Apple Crumble in the colder weather. The recipe comes from my newly purchased Ice Cream making book, first found in our public library, which I highly recommend: Making Ice Cream & Iced Desserts by Joanna Farrow & Sara Lewis. I notice that the authors have written more than one book on the same subject. I shall have to do some more research on the other titles. 1. Put the blackberries, sugar and water in a pan. Cover and simmer for 5 minutes until the sugar is dissolved and the fruit is soft. 2. Strain the fruit through a sieve over a bowl, pressing the fruit juices and puree through with a wooden spoon. It does not matter if the finished juices are cloudy. Dispose of the seedy pulp. Leave to cool and then chill in the fridge. This can be frozen in batches for later use. Pour chilled berry liquid into machine and churn for 10-15minutes until thick. Do not be tempted to add the cream at this stage as it will thicken and become buttery. 4. Stir in the cream and continue to churn until well mixed. Transfer to a container and freeze. If you do not have an ice cream maker, whip the cream until it just starts to thicken, but is not too stiff – it should still fall from a spoon. 6. Mix in the chilled fruit purée, pour into a plastic container. Freeze for around 2 hours, then mash with a fork to break up any ice crystals. Return to freezer for an additional 2 hours and mash again. Re-freeze for a final 2 hours. Nothing is more delicious on a hot day than a serving of cooling, refreshing lemon sorbet. It was the first type of ice I made when I bought my Ice cream machine some years ago and every year it is usually the first to be made. This recipe is one of the simplest I have come across with the syrup quickly made, rather than needing the lengthy boiling required by some recipes to make a thicker syrup. I cut a few corners with the recipe, using a zester to make the lemon peel strips rather than the more laborious potato peeler method. 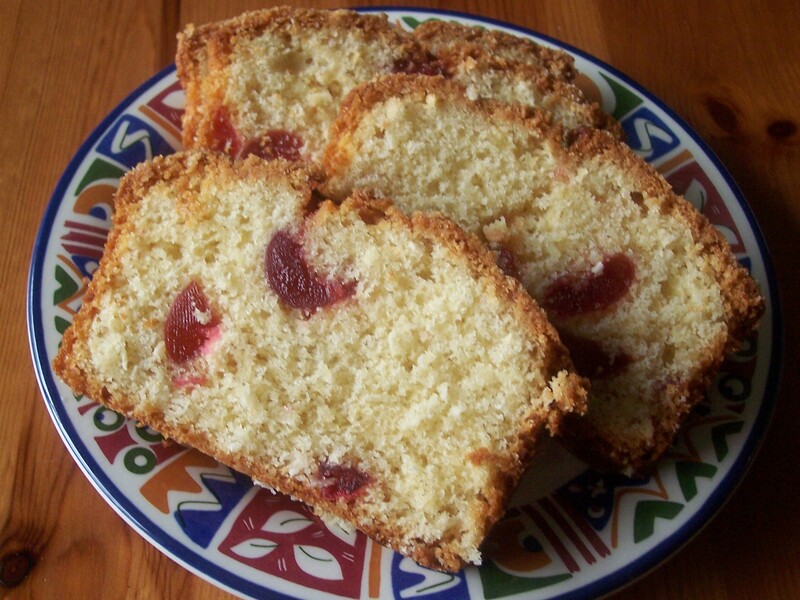 I kept and dried the crystallised lemon zest to garnish this, and other, dessert recipes. I also used just three lemons as mine were huge, but would use 4 normal sized ones. Delicious served with wedges of fresh pineapple, or another fruit of your choice. I have discovered a wonderful book in the library this year, Making Ice Creams & Desserts by Joanna Farrow & Sara Lewis, packed with lots of wonderful ice cream and sorbet recipes, as well as some more complicated iced desserts for entertaining. In fact, it’s such a good book that I have just bought my own copy! The original recipe has suggestions about using other types of citrus juices and mixtures, which I will add here if and when I try them. It also mentions that you can turn a lemon into a ready made container for serving the sorbet by removing a ‘lid’, carefully scooping out the inside and slightly flattening the bottom of the fruit ‘pot’. When filled with sorbet the lemons can be reassembled and frozen ready for serving. I have eaten sorbet like this in restaurants, in both lemon and orange varieties and it always looks very attractive. 1. Put the sugar and boiling water in a pan and stir occasionally until the sugar is dissolved. 2. Using a lemon zester, remove zest (but no white pith) from one lemon and add to the pan. Simmer for two minutes and remove from the heat. Leave to cool and then chill in the fridge. 3. Squeeze the juice from the lemons and chill in a separate container from the zested sugar water. 4. When chilled, strain the zest from the sugared water and reserve as decoration. Strain the lemon juice into the sugar water. Pour into machine and churn. Separate the egg, reserving the yolk for another recipe (it can be frozen). 6. Lightly whisk the white with a fork and add to the machine as it churns. 7. When the mixture is slushy transfer to a container and freeze. If you do not have an ice cream maker, pour the lemon mixture (without the egg white) into a plastic container and freeze until slushy. Whisk the egg white with a fork until frothy and beat into the slushy mixture. Return to freezer for at least four hours. Defrost in the fridge for about 20minutes before serving. Serve garnished with the sugared lemon rind reserved from earlier.